130 Brunch Ideas – I love breakfast food: coffee cake, muffins, cinnamon rolls, danish. I’d eat them all day if I could, which is why this round-up is PERFECT for me. If you’re looking for a great brunch idea for Easter or Mother’s Day or just a regular old Sunday, this list has plenty for you. If you love brunch, this collection of brunch ideas is perfect for you too! Especially if you’re making brunch for Mother’s Day…or if someone is making it for you. Send them the link and give them some ideas! All of these brunch ideas are easy and delicious. 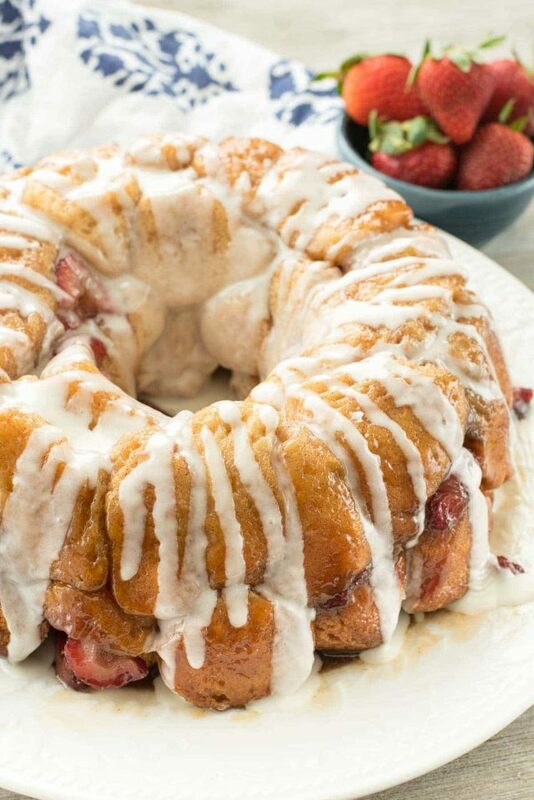 From eggs to coffee cake, muffins to monkey bread, everyone in your family will be looking forward to brunch. You’ll want to make it every day, why should Sunday have all the fun? These recipes are some delicious brunch ideas for any day of the week! Sometimes you want a hearty brunch and that means eggs! 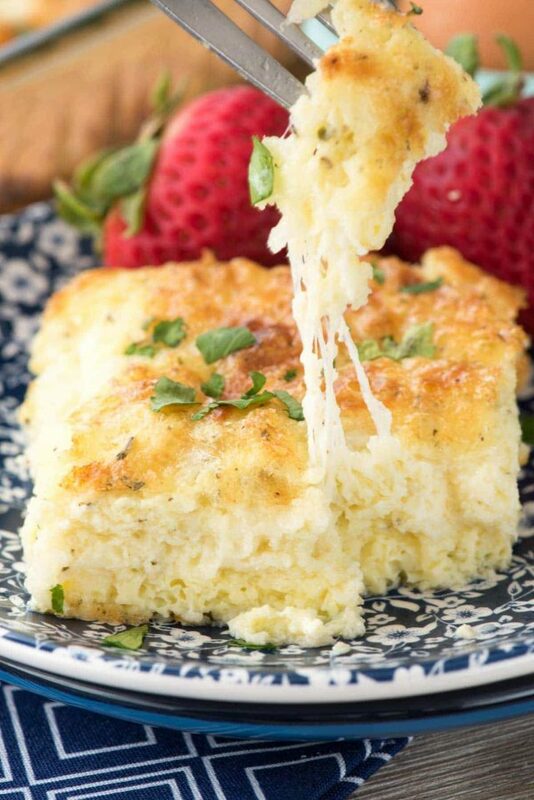 From quiche to casseroles, this list has everything your brunch needs to fill you up! One thing about brunch – often fruit is the star! Between the mimosas and fruit platter, I can never get enough. But these brunch ideas have fruit in the recipe, whether it’s a muffin, a scone, or monkey bread! Easy grab and go muffins are perfect for brunch (and every day too!) 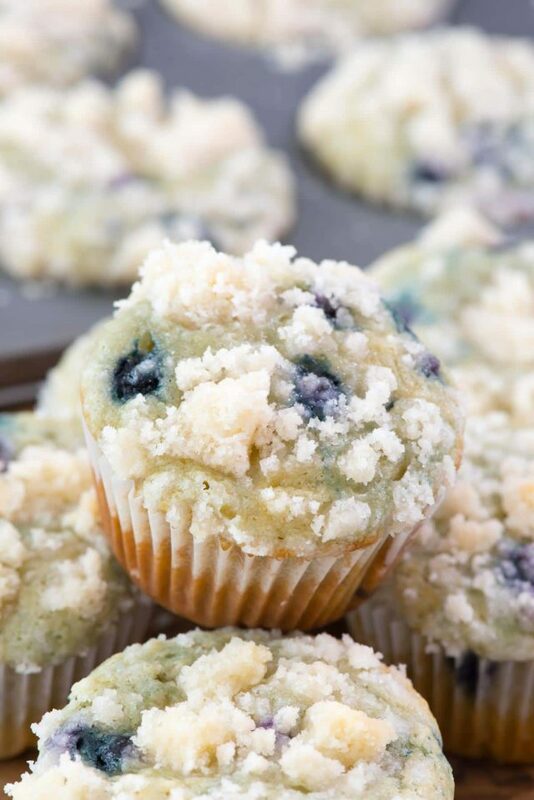 This list of muffins is quite impressive, with every flavor from Starbucks Blueberry Muffins to strawberry, chocolate chip and more! 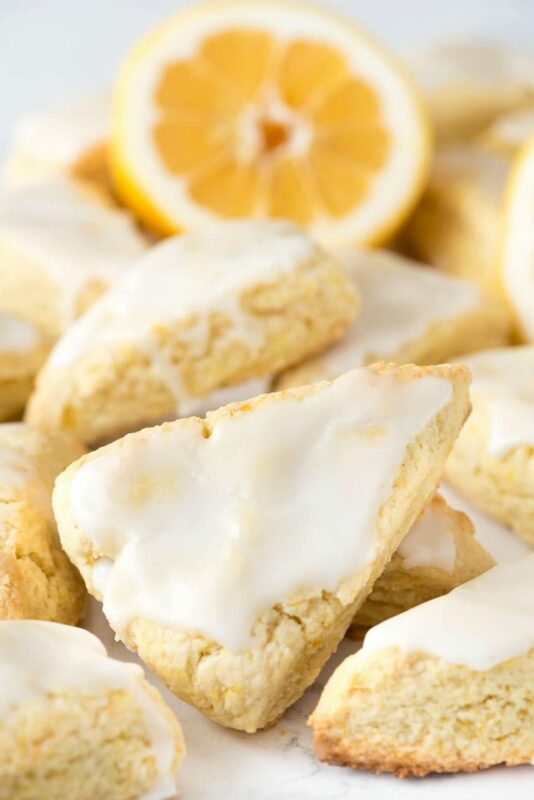 I cannot tell you how much I love scones. And donuts!! And all of the carbs! This list of sweet brunch recipes are perfect for any breakfast, from scones to donuts, cinnamon rolls and coffee cake! And then there was the rest: pancakes, waffles, French toast, oatmeal and all those other brunch recipes we forget about. 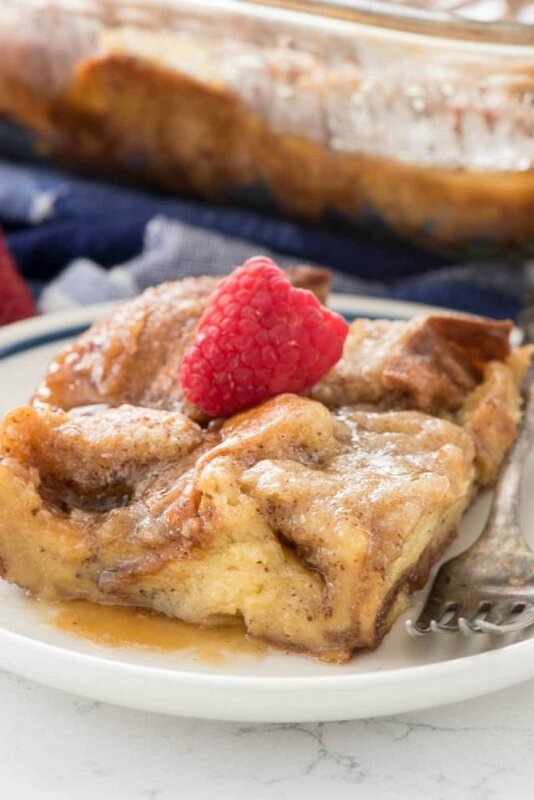 I love making French toast casseroles for brunch: they’re make ahead an so easy! Awe.Some. Brunch for breakfast, lunch, or dinner I say! Yummmm!!! Brunch is my favorite!! Thanks for including me Jen and Dorothy! I wish we could make brunch a legitimate meal of every single day. What a dizzying (in a very good way), delicious array of ideas. Love it! Brunch should be a requirement because it honestly has the best foods! Muffins, egg recipes, french toast casseroles, mmm, I love it all! Mmmmm Brunch makes me happy! When else is it perfectly acceptable to eat dessert for breakfast? Cinnamon rolls!!!!!! Amazing collection of ideas! I just don’t even know where to start! I think brunch is my favorite meal of the day. You get away with eating almost anything!! Fabulous collection … and thank you for including a couple of my creations! Brunch (and dessert) is my favorite meal of the day! My parents and I are actually heading out to brunch tomorrow, and I am SO excited. We’re either going to our favorite restaurant (best blueberry coffee cake you’ll ever, ever try) or a fancy country club gourmet buffet brunch (waffles + mini pies = need I say more?). Still, making brunch at home is a lot less expensive, and there are plenty of yummy ideas here! These are all perfect ideas for Mother’s day brunch…or any other brunch! Thank you for including my recipes, Jen and Dorothy! Brunch is my favorite meal because I can eat breakfast, lunch and dessert all in one sitting! Thanks for including me! Dorothy, thanks for including me! I am absolutely drooling over all these wonderful recipes! Great selection! !